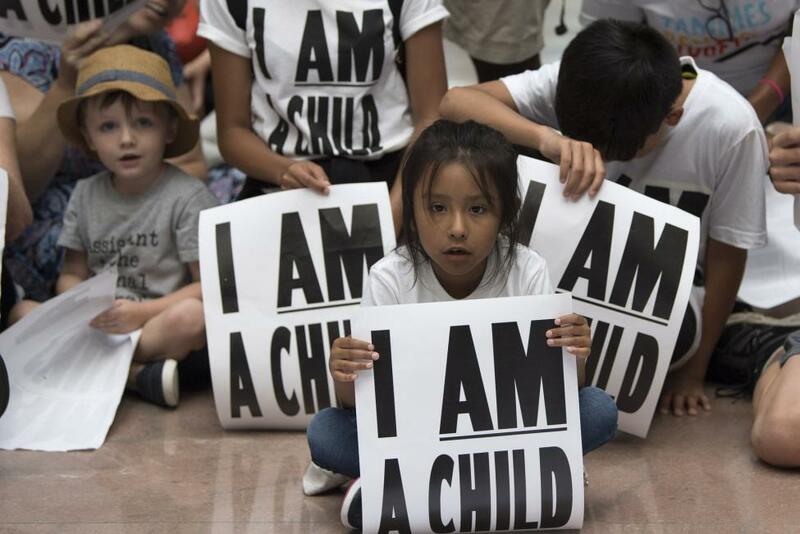 "Children participate in a protest against child separation of illegal immigrants detained at the border in the Senate Hart Office Building." In a frenzied fight for freedom, many people have died and lost their family members while reaching for an almost seemingly impossible dream. Thousands die each year in an attempt to cross the border into the United States. Most recently, in December 2018, a caravan of migrants attempted to cross the border; two hundred and sixty people lost their lives. About four people, mainly children, have died while being detained by the U.S. government in December alone. Two hundred and eighty-one people lost their lives in this fight during the 2018 budget year. The fiscal year ended in September; since then, there have been thirty-two deaths. In an attempt to combat illegal immigration, children are being captured and ripped from their families’ arms. President Trump has ordered border control to keep these children in a tent city in Texas. The number of deaths continues to lower each year; nonetheless, these are people dying for their dream of freedom. Children and babies are being starved of the love and affection they need from their family and are thinning down to the bone. Unlike traditional concentration camps, these are being used only to detain the children. These children are just that, children. Being held captive deprives them of education and basic necessities, everything that growing children need to survive. The purpose of these concentration camps is to send a message. According to the San Francisco Chronicle, Trump wants to separate the children from their parents so that Mexican parents will not find refuge at the border anymore. This is not the first time concentration camps have appeared. Each time they do, it does not end well. There have been concentration camps in Africa, Europe, and North America. As we watch history repeat itself, we should know this will end with more people dead.